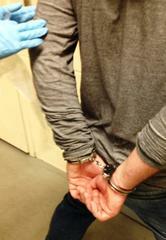 Trending in Arrests - At least 7 theft from car incidents in Village area last weekend. Hide It, Lock It, Keep It! Each week, we will post an arrest of interest pointing toward arrest and crime trends within Arcadia. This past Saturday night to Sunday morning saw a cluster of thefts from unlocked vehicles in the Village area of town off Michillinda Avenue. A couple of the vehicles were reportedly locked, but there was no forced entry found by officers. Cash, credit/debit cards, and a camera were among some of the items taken in the thefts. At least 7 cars were gone through. Officers recalled detaining a male subject for a similar theft within the last few months in close proximity to this batch of crimes. The subject lives nearby in the unincorporated County area. The officers went to this subject's home and spoke with him, ultimately finding a debit card taken in one of the theft cases from overnight. The subject was arrested and booked on felony charges. However, when the case was presented for filing, the District Attorney's Office felt there was insufficient evidence to proceed at this time and the subject was released. This is not uncommon and means our Investigators will conduct additional follow-up along with submitting physical evidence for forensic examination before presenting the case again. Time restraints do not always allow such investigation before cases are initially presented. These theft events serve as a good reminder to always remove items of value from your cars and be sure to secure and lock them, even while parked in your driveway or garage. Hide It, Lock It, Keep It!